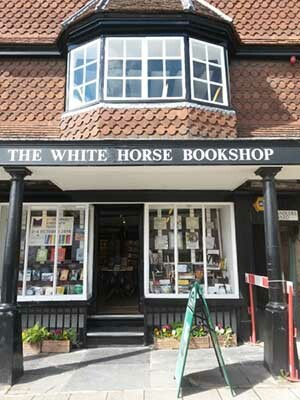 The stunning town of Marlborough is well worth a visit for a full day out, so when you factor in the lovely, White Horse Bookshop, this place should find its way onto many a bookworm’s bucket lists. 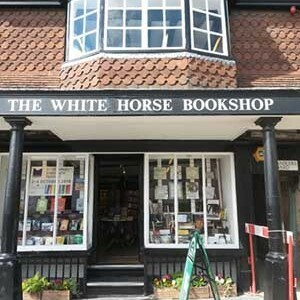 The Beautiful bookshop, is inside an old building with wooden beamed ceilings and spiralling staircases. 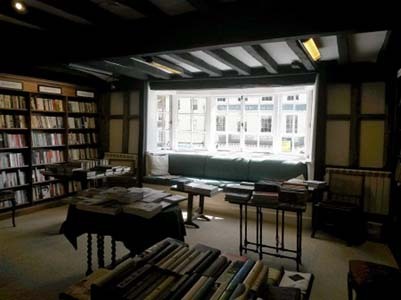 Spread across 3 floors, the ground floor and first floors are dedicated to books, whilst the basement is home to art. 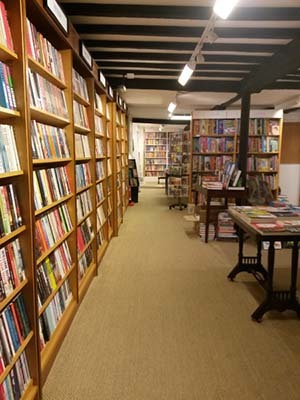 My first impression upon entering the bookshop was its size, with shelves going back into the depths of the shop a lot further than it appears to from the outside. 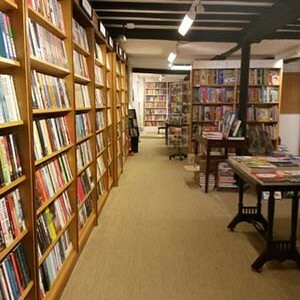 This large area for books, plus the upstairs area means the shop has a brilliant selection of books in a range of genres. 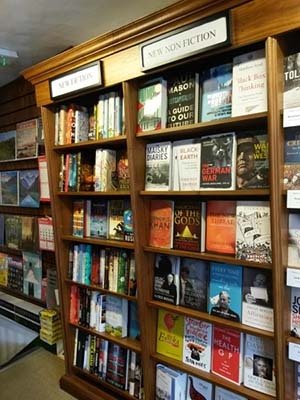 Including a row of bookcases near the front door, which holds all the new releases, both fiction and non-fiction. Heading upstairs to explore the rest of the books, you are first met with a painting at the top of the stairs which replicates the cover of Mary Shelley’s Frankenstein (The Dover Thrift Edition). 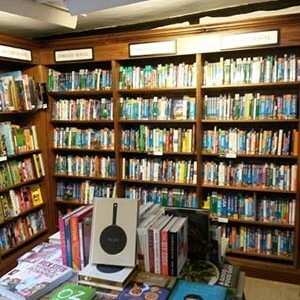 After admiring the painting we explored the books on this floor. 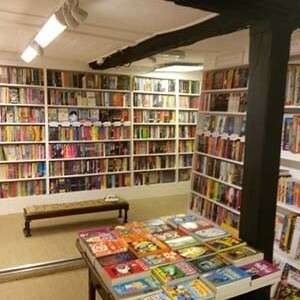 With two rooms connected in a circle with their doorways, this upstairs area holds even more book genres. 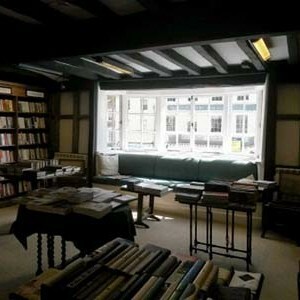 One room holds books on art, photography, fashion etc. 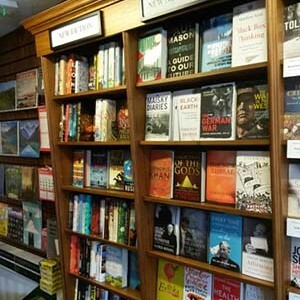 whilst the other room holds genres such as travel, film, theatre and biographies. 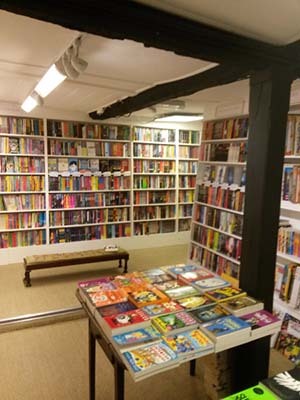 The upstairs area is even more of a magnificent sight, with its defined wooden beams, and natural light coming in through the large, curved window and at the end of the room. 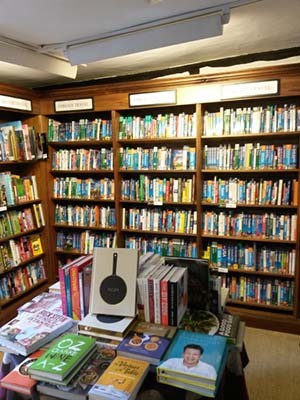 A stunning bookshop, with a brilliant collection of books, makes this another must visit for book lovers.